37 Things That'll Have Everyone Asking, "Where Did You Get That?" Flowy dresses, lightweight sweaters, adorable sandals, and everything else you need to look damn good this spring. 1. A flare-sleeve floral wrap dress, because you need to start planning what you'll wear all festival season long. Get it from Amazon for $8.60 (available in sizes S-XL and in 23 prints). 2. An adorable little lightweight raincoat to help you battle all those April showers. Get it from Amazon for $19.99+ (available in sizes S-XXL and in 10 colors). 3. 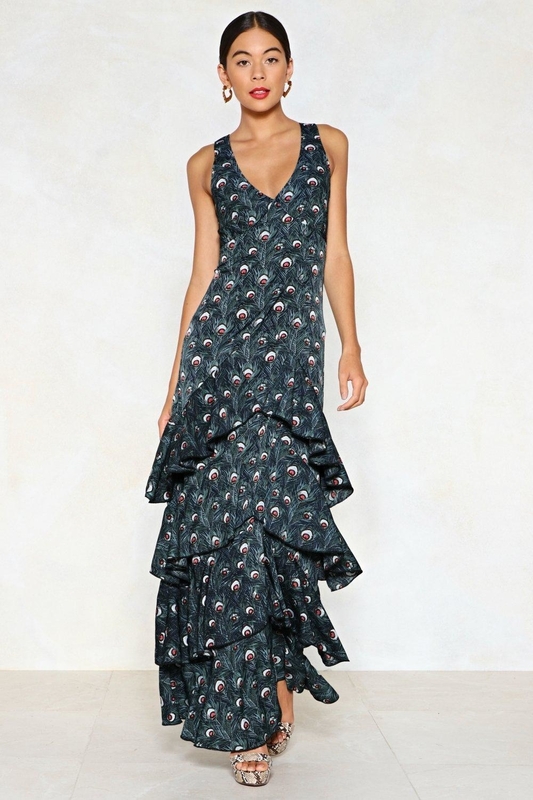 A ruffled open-back maxi dress made with a delightful peacock print, because it deserves to be on display. Get it from Nasty Gal for $54 (available in sizes 2-8). 4. 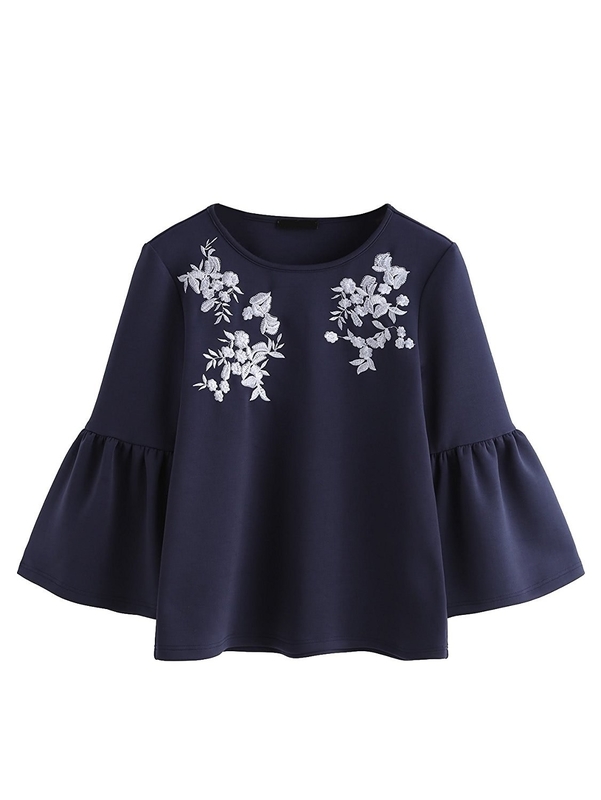 An embroidered bell-sleeve blouse that's perfect for bringing spring into your office. Get it from Amazon for $15.99 (available in sizes XS-L and in pink, burgundy, and navy). 5. A semi-sheer eyelet mini dress for that vacation or charming spring day (if either of those things ever actually happen). Get it from Forever 21 for $34.99 (available in sizes S-L and in black and white). 6. A delightful little ruffle-sleeve romper gorgeous enough to get you through all those hot summer date nights. Get it from Nordstrom for $58 (available in sizes 0X-4X). 7. A comfy bohemian tunic that looks great worn with boots when it's still cold out or with strappy sandals once the sun comes. Get it from Amazon for $24.67+ (available in sizes S-XL and in 18 colors). 8. A pair of ankle-strap heeled sandals for when you need a cute AF shoe that is actually comfy. Get them from Amazon for $17.31+ (available in sizes 5-10 and in black, tan, blush, and light blue). 9. A set of handmade beaded earrings because your ears are throwing a party and you may or may not be invited. Get them from Vineyard Vines for $48 (available in navy and aquamarine). 10. A delightful lightweight chiffon blouse designed with a bow detail across the back. Get it from Amazon for $37.89+ (available in sizes S-3X). 11. A drawstring lightweight jumpsuit you can easily wear out on the town, over a bathing suit, or even when you're running errands and don't have time to think about what to wear. Get it from Old Navy for $42 (available in sizes 1X-4X and in green and blue). 12. A pair of mini cat-eye sunglasses to help you get on that tiny-sunnies trend without breaking the bank. 13. A flowy floral-print tunic you can wear over your favorite leggings or alone as a breezy dress. Get it from Amazon for $19.99 (available in sizes XS-L). 14. 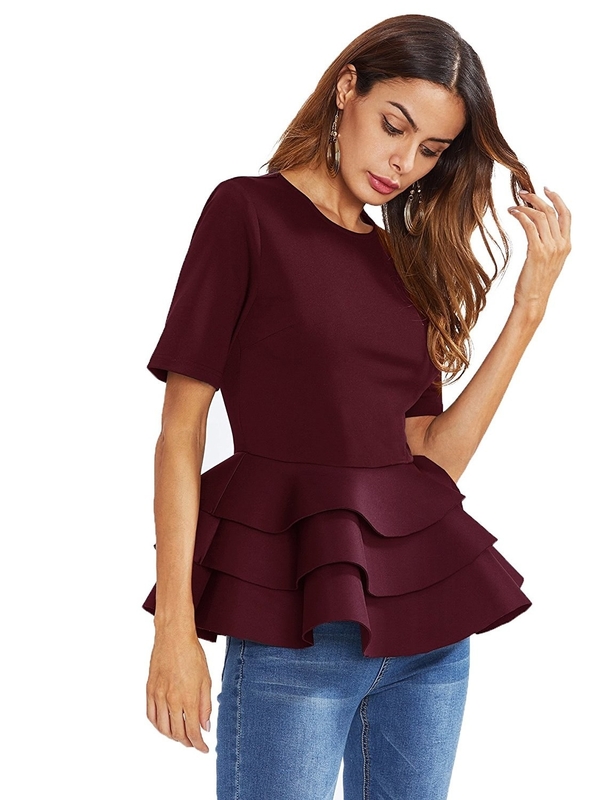 An elaborate ruffled peplum top for help giving your skinny jeans a little drama. Get it from Amazon for $14.99+ (available in sizes XS-L and in black and burgundy). 15. A super-easy rugby-style dress to get you ready for all those sports games this summer — yay! Go team! Sports! Get it from Nasty Gal for $30 (available in sizes 2-8). 16. 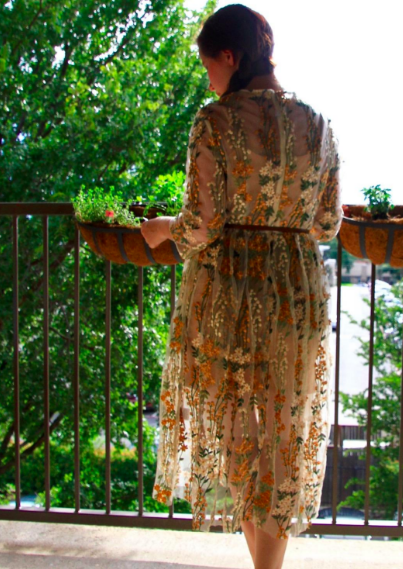 A gorgeous sheer floral embroidered cocktail dress that is just chic AF. Promising review: "The embroidery is absolutely beautiful. The yellows, greens, and whites are a perfect summery combination and I will be looking for an excuse to wear this on every occasion. 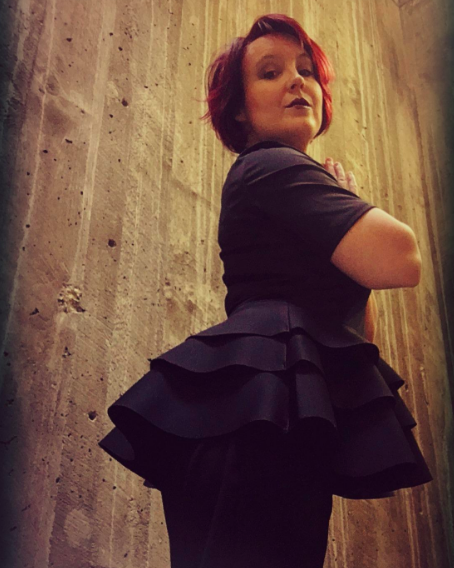 The under-slip is short and strapless while the dress itself is long — so I can feel a nice breeze but also be a little protected from the sun. I would also love this as a sleeveless dress, but because it's three-quarter sleeves it means I don't have to carry a scarf to cover my shoulders when I go indoors (which is a major plus). The slip that comes with it has adjustable straps (yay), which is something that's always nice to have. The dress itself fits perfectly for me in the bust, the shoulders, and the sleeves, and the length is absolutely lovely." —Zora F.
Get it from Amazon for $61.99 (available in sizes S-XXL and in yellow and pink). 17. A stunning and picturesque kimono to layer over a T-shirt and make it seem like you actually tried. Promising review: "I’m in love with the pattern. The kimono is silky, kinda like pajamas, but definitely can be dressed up." —Jenae S.
Get it from Forever 21 for $32.90 (available in sizes 0X-3X). 18. A pair of 2-inch-heel sock booties for that much-needed pop of color to finish off your OOTD. Get them from H&M for $59.99+ (available in sizes 4.5-10 and in pink, black, and blue). 19. 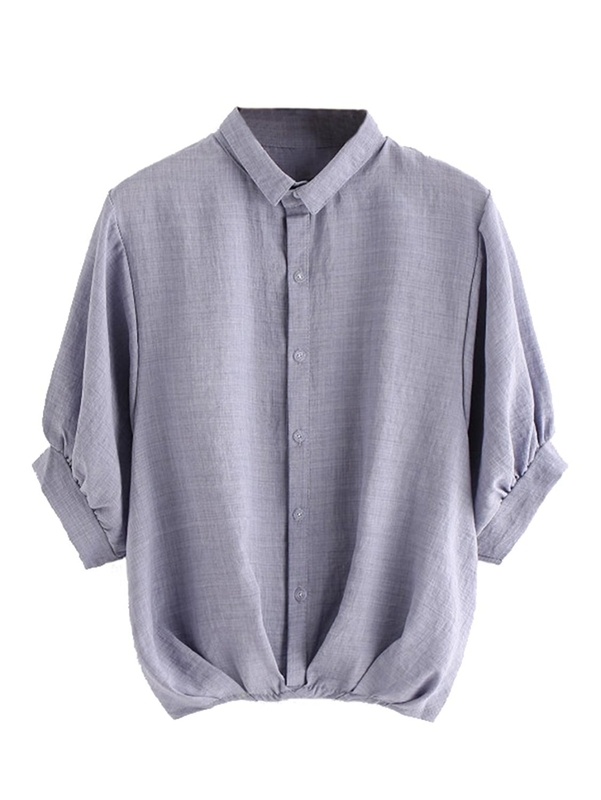 A lantern sleeve button-up designed with an elastic hem to help give you that slouchy yet put-together look. Get it from Amazon for $11.99 (available in sizes S-XL and in nine colors). 20. A ruffle-sleeve shift dress that's roomy enough to be uber comfy but pretty enough for literally any occasion. Get it from Amazon for $21.99+ (available in sizes S-XXL and in eight colors). 21. 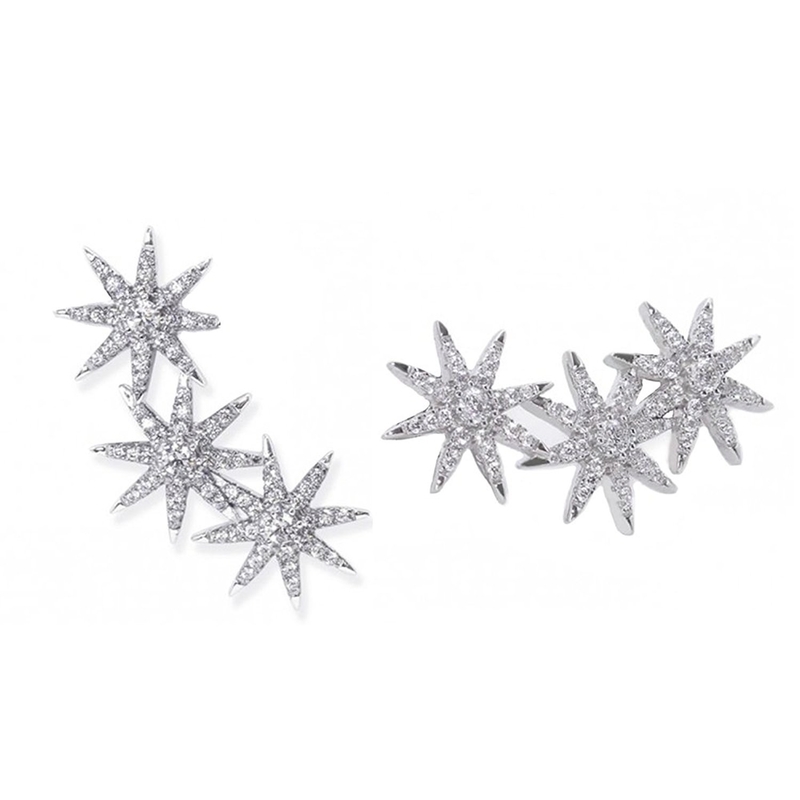 A sparkling pair of white-gold-plated star-shaped ear crawlers, because you need a little more sparkle in your life. 22. A lace-top dress with an adorable ruffle hem that was meant to be worn with sand covering your toes. Promising review: "Very cute dress. I wear it as a swimsuit cover as well." —Tania S.
Get it from Amazon for $23.35 (available in sizes S-XL Plus and in seven colors). 23. 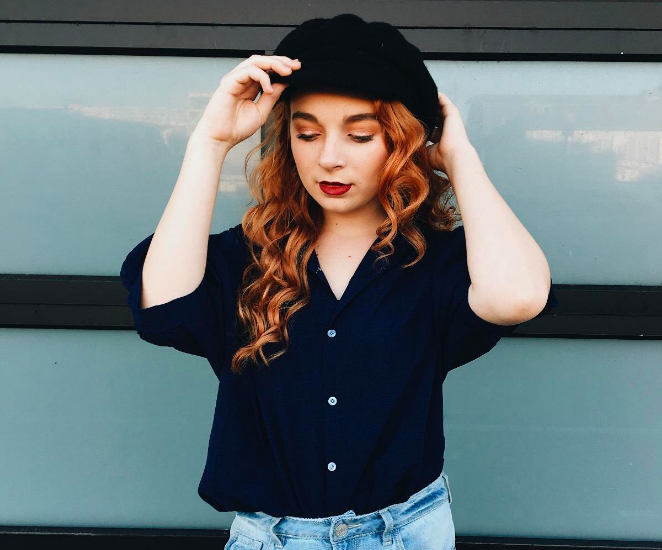 A stunning stripped button-up blouse, because a shirt like this will elevate everything else you're wearing — like whoa! Get it from Mango for $59.99 (available in sizes 2-8). 24. 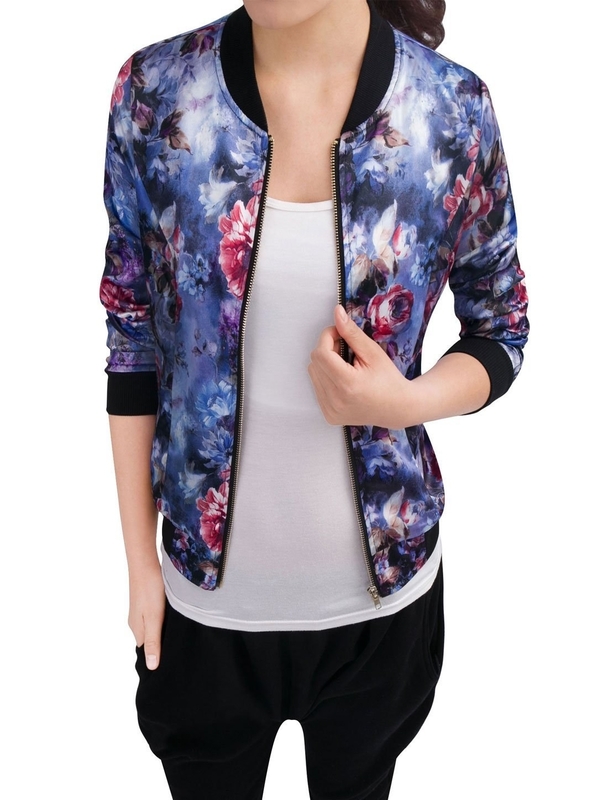 A floral bomber jacket you should always have on hand because you never know when your office is going to experience one of those summer temperature drops. Get it from Amazon for $13.99+ (available in sizes XS-XL and in four colors). 25. 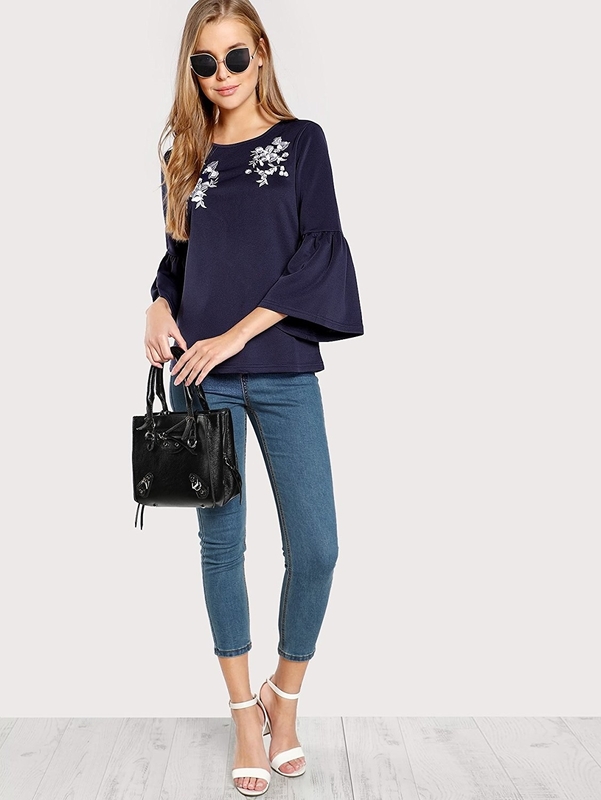 A ruffled-sleeve eyelet top that just might be the best spring blouse ever created. Get it from the Gap for $27 (available in sizes XS-XXL and in pink and white). 26. A flowy button-up summer dress to help you get through those mornings when you can't figure out what the hell you're going to wear. Get it from Amazon for $20.99 (available in sizes S-XXL and in four colors). 27. An elastic-waist high-low maxi skirt that's going to look pretty freakin' epic in all your Insta pics. Get it from American Eagle for $29.96 (available in sizes XXS-XXL). 28. A comfy AF Juicy Couture midi skirt, because Juicy is back, b!%@#*$ — and they're making cute AF clothing you can wear without looking like you're trying to be the cool mom. Get it from Nordstrom for $69.50 (available in sizes XS-XL and in pink and black). 29. A cozy oversized sweater for when you're ready to begin that transition from f#@%ing snow to breezy spring. 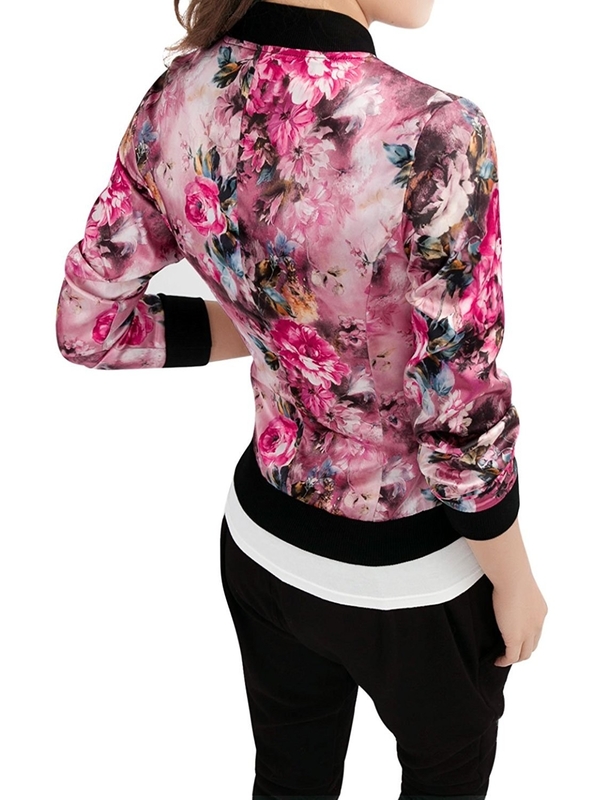 Get it from H&M for $34.99 (available in sizes XS-XL and in pink and black). 30. A wide-brimmed woven straw hat to help supply you with all the shade you like to give out. 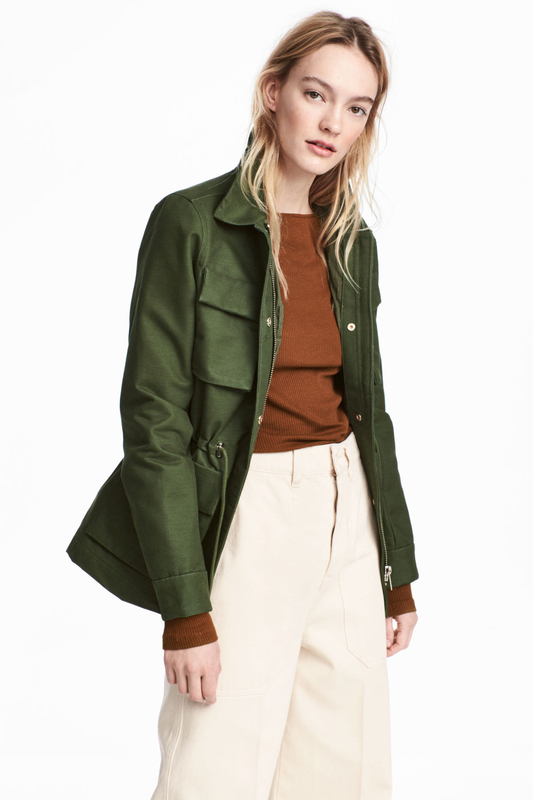 Get it from Nordstrom for $44 (available in sizes XS-M and in four colors). 31. A matching floral bodysuit and flowy kimono that'll have you poolside-ready in no time. Get the kimono for $48 (available in sizes 1X-3X) and the bodysuit for $38 (available in sizes 1X-3X) from Forever 21. 32. 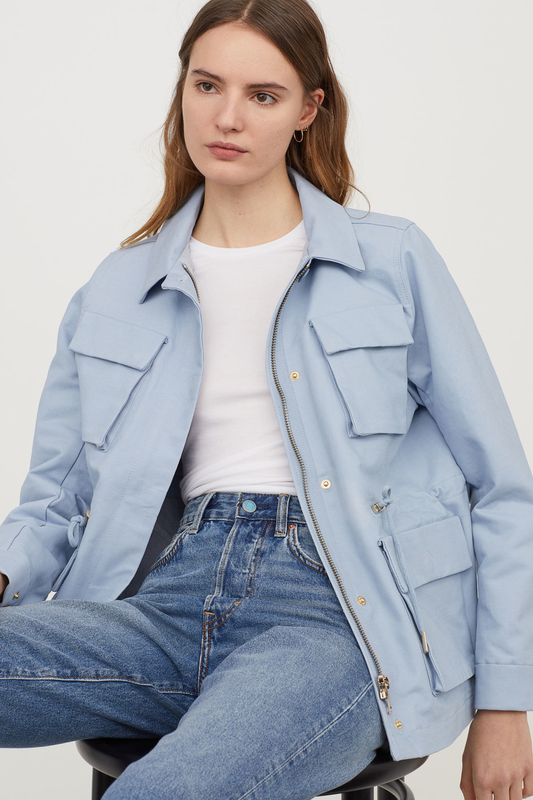 A practical AF cotton cargo jacket with just enough pockets to hold all your stuff. Get it from H&M for $59.99 (available in sizes 2-16 and in green and blue). 33. A pair of espadrille wedges for help reaching new heights without the pain. Get them from Nordstrom for $89.95 (available in sizes 4.5-12 and in five colors). 34. An eye-catching floral duster coat just in case you didn't have your spring statement outerwear look figured out. Get it from Asos for $72 (available in sizes 0-14). 35. A pair of dramatically whimsical floral earrings, because your eyes are up here, TYVM. Get them from Bauble Bar for $38. 36. A classic AF polka dot midi skirt with a delightful little slit so you can show off *just* enough leg. Get it from Mango for $49.99 (available in sizes XS-M). 37. And a comfy little cotton pullover that's made with lots and lots and lots of love. Get it from Ann Taylor Loft for $25 (available in regular and petite sizes XXS-XXL). You're about to look so good!